Two-phase treatment occurs when a patient is evaluated and needs intervention prior to starting regular orthodontic treatment, resulting in two separate treatment plans. Phase one is required when the patient is a child and still has his or her primary teeth. The phase one treatment plan can include preventive, interceptive or modifying care. Orthodontic appliances may be placed in order to: prevent a problem from happening, correct a current problem, or help direct jawbone growth. 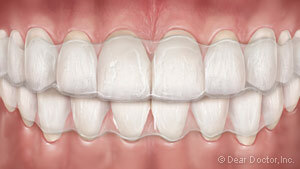 Various troubles with tooth alignment, gums, jaws and facial problems can typically be corrected with phase one care. Another great advantage of phase one treatment is reduced phase two treatment time. 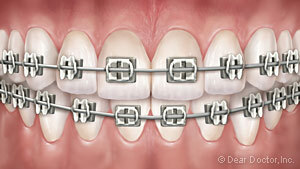 Generally, phase two treatment is standard orthodontic treatment. 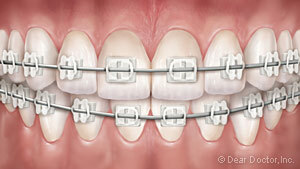 This relates to placing braces on the patient’s teeth once the permanent teeth have erupted. The braces straighten the permanent teeth and correctly align the jaw to prevent bad bites. When's The Best Time To Begin Phase Two Treatment? 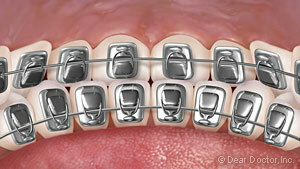 Many negative associations of braces are not present during the early years of child development. Furthermore, the majority of children in this stage have braces, which makes it “cool” as most of their friends are wearing braces as well, and feel as though they are apart of the in-crowd. Besides the benefits of fitting in with their friends, children at this age are growing rapidly, and Dr. Pershad can usually take advantage of these growth spurts to help structure the jaw and teeth appropriately. Children at this age also have high metabolisms, which can help shorten overall treatment time and limit the discomfort of orthodontic care. Patients who have undergone both phase one and phase two treatment are more prone to have lasting results, so that adult treatment can be avoided. Our goal for your two-phase orthodontic treatment is to give you correctly aligned teeth that provide ideal jaw function and a healthy smile! If you have any questions regarding adolescent treatment for your child, please contact us at our Niagara Falls, St. Catharine’s, Fonthill, or Beamsville location. We look forward to seeing you smile!